The association aims to contribute to the promotion and use of micro and mini wind energy source in a balanced relationship between settlements and nature. It promotes research and technological development, for use of the wind resource and energy efficiency. 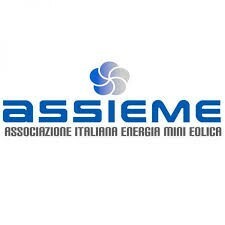 Assieme is committed to collect, process and disseminate data and all relevant information to the knowledge of the problems related to the source of micro and mini wind through the mass media and other means of dissemination, including publications for third parties that are not in contrast with the social aim.